The Silk Road was an ancient trade route that connected Europe to China, a distance of over 7,000 kilometers. China’s exports tended to be silk, salt, teas, spices and porcelain. In Japan, a much shorter route, known as the Saba Road (鯖街道) connected southern Fukui, to Kyoto, just 70 kilometers away. The road was used mostly to bring saba, or mackerel, to the hungry capital. Though less extreme than its asian counterpart, the Saba Road played an important role in developing this area’s culture and shaped its history. 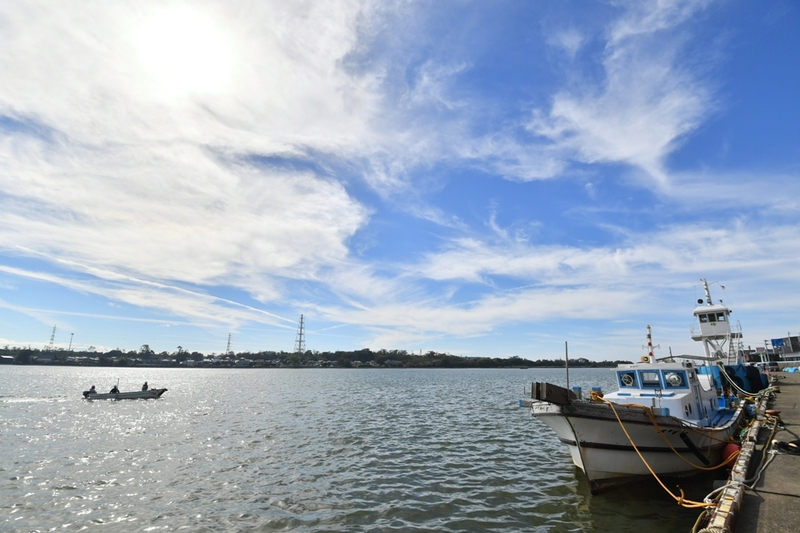 Southern Fukui has many mackerel fishing grounds along the coast of the Sea of Japan. 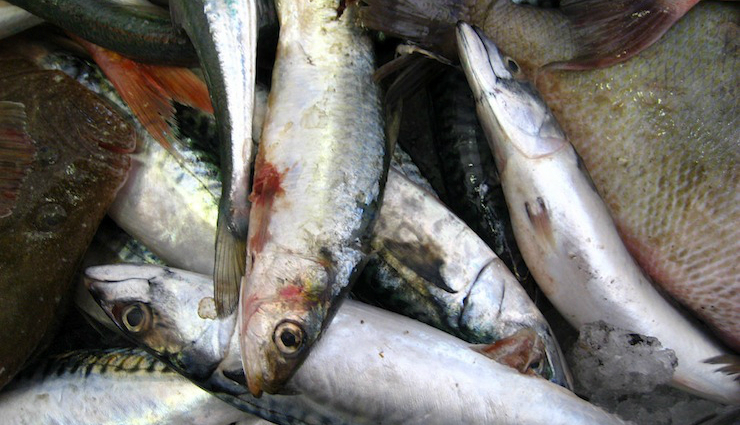 Mackerels tend to spoil easily. Therefore, until the 19th century, they had been caught in the Sea of Japan, brought back to southern Fukui, salted down and carried on foot to Kyoto in just a single day and night. 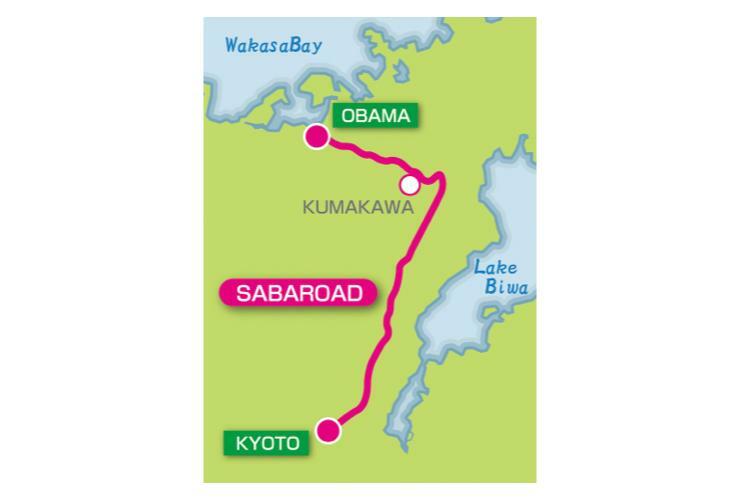 The Saba Road started in Obama (小浜), a port city in southern Fukui, and ended near Demachi-yanagi (出町柳) in central Kyoto. 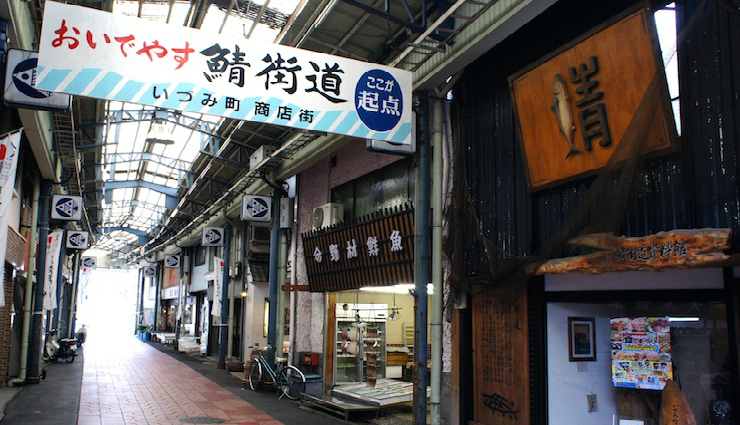 Mackerel was valued in Kyoto because the city is landlocked. One delicacy that was developed was sabazushi (鯖寿司), mackerel sushi, and has been a traditional dish eaten on special occasions. 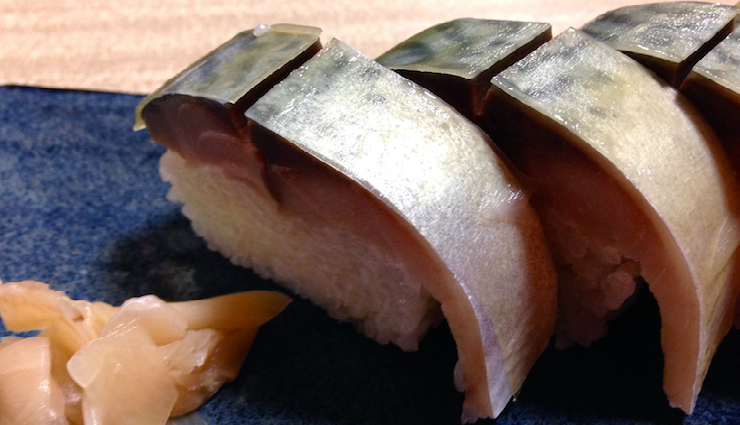 It is made of fermented mackerel on top of packed sushi rice and wrapped with thick pickled kelp. The Saba Road had several stopping points where people took a rest, had a meal and even stayed overnight on the way to Kyoto. One of them was Kumagawa-juku (熊川宿), 16 kilometers far from Obama. 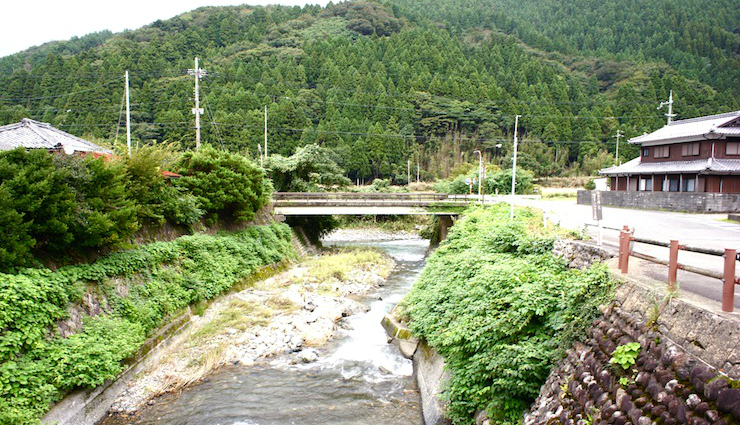 Kumagawa-juku flourished from the 17th to the 19th century, although it has recently fallen into decline due to rail transport and highways since the early 20th century. The fascinating old townscape is amazingly still there. The main area spreads 10.8 hectares along the 1-kilometer-long street. 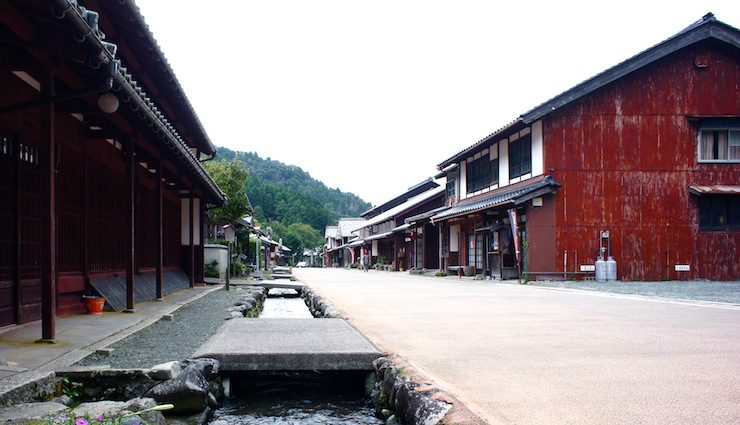 Traditional Japanese-style houses and warehouses are lined up along the waterway named Maegawa (前川), one of the best 100 natural water sources in Japan. 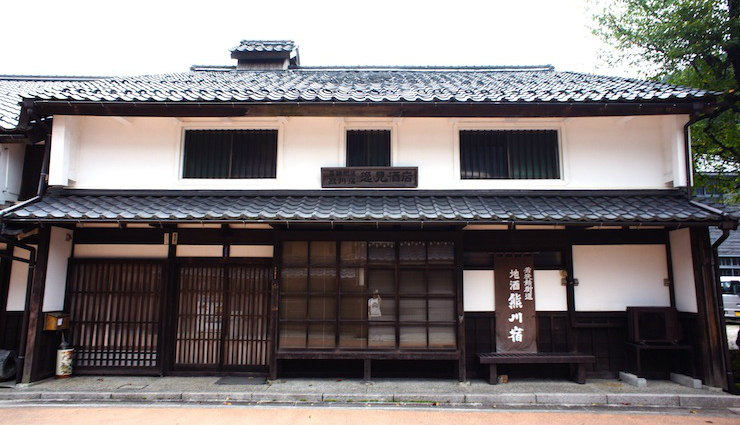 Kumagawa-juku consists of several kinds of traditional Japanese houses. 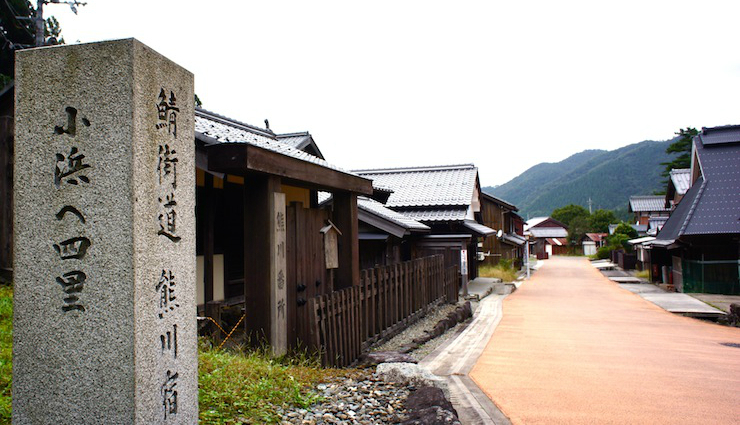 One is Hirairi (平入), whose entrance is parallel to the ridge. 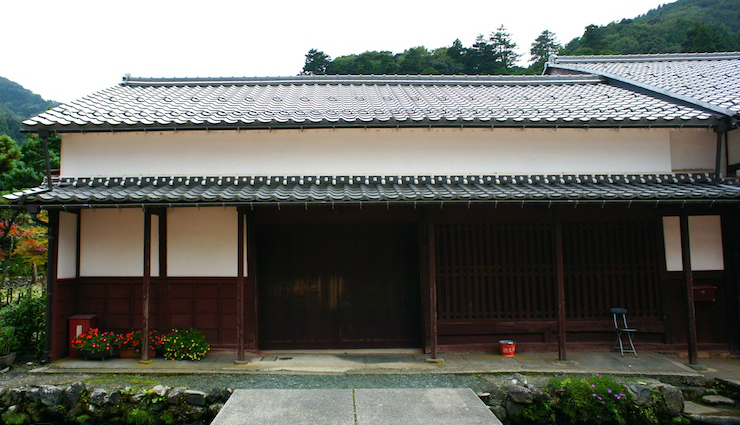 Another is Tsumairi (妻入), whose entrance is at the gable side. 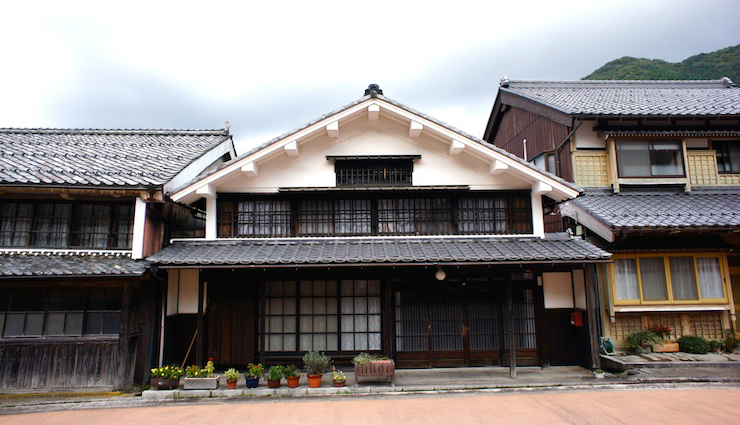 You also see a single story house with a zushi-nikai (厨子二階), a loft in the roof space, which was popular from the 17th to the 19th century in Japan. The roof is lower than that of a typical two-story residence. 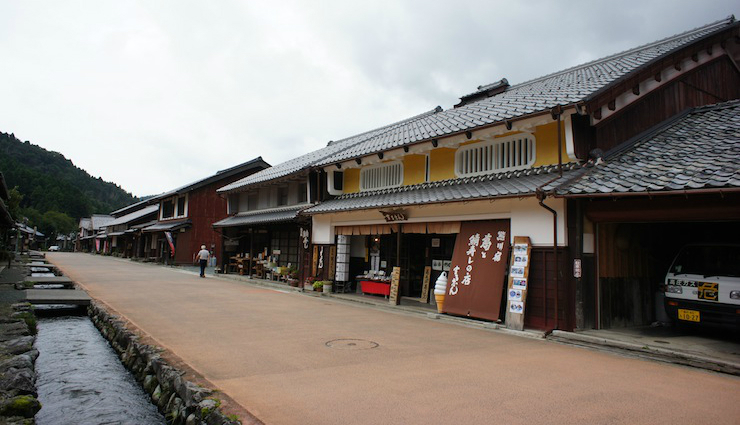 Kumagawa-juku is currently a small town among the mountains. So, you feel relaxed and can enjoy the nature there, too. 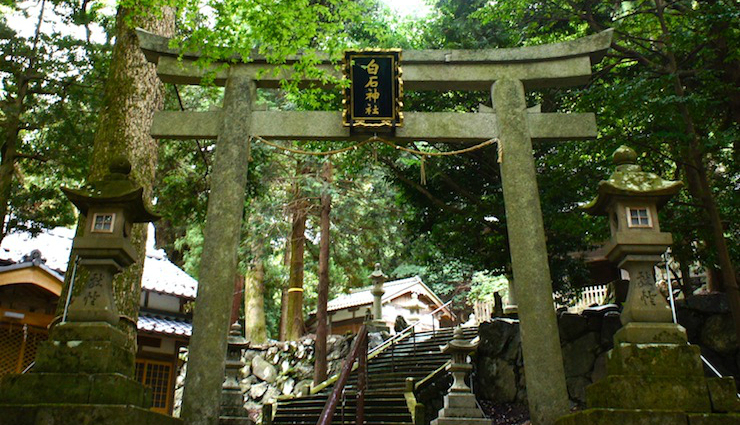 For example, the Shiraishi Shrine (白石神社) is located on the hill of this area, surrounded by old trees and filled with clear air and silence. 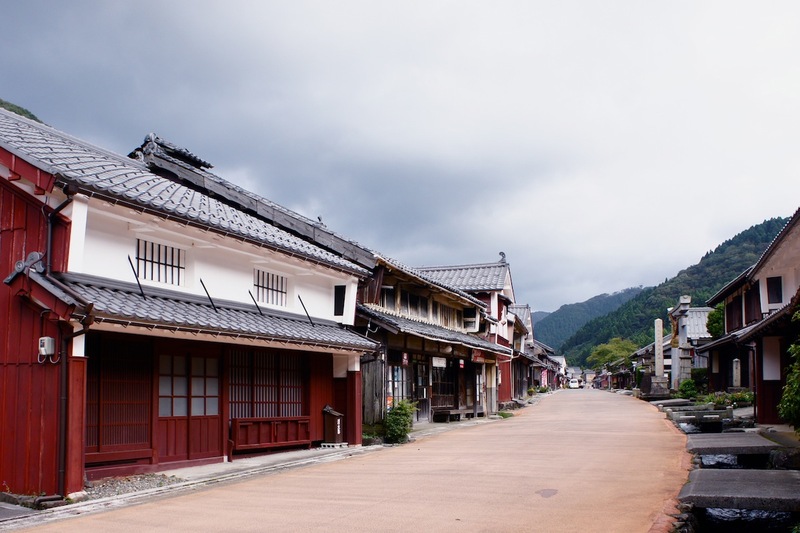 Kumagawa-juku is only 60 kilometers from Kyoto, and is a well-kept secret especially for architecture-lovers and history-buffs. Feel free to take a rest, as our ancestors did on the way to carry mackerels to Kyoto a long time ago. Mackerel: Creative Commons Some rights reserved. Photo by Jeremy Keith.